Beautiful colors in shades of blue and green, cream and brown depicting the fox hunt. 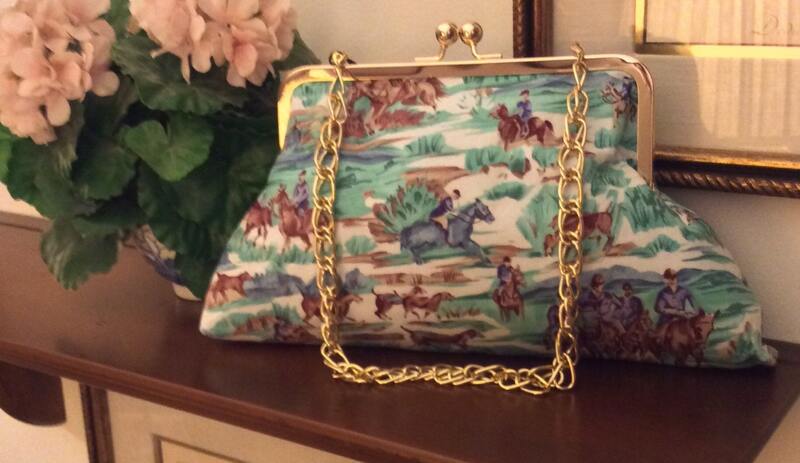 The clutch measures approximately 8x9". It has a silver kiss lock clasp and comes with a silver or gold chain should you want to carry it on your arm. 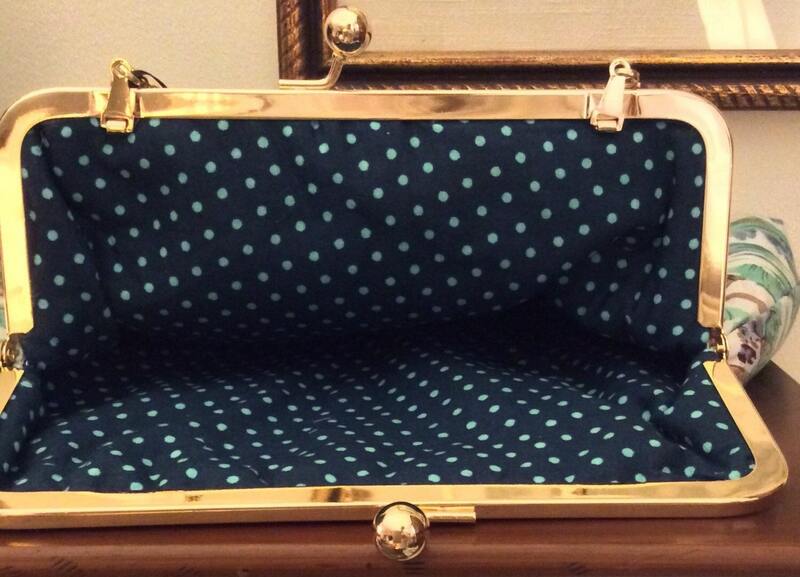 (Please note the photo shows gold )The interior is lined with a great blue and aqua Pokadot added for a little whimsy. If you would like a solid color lining, that is available as well. This bag is large enough to carry all your essentials.